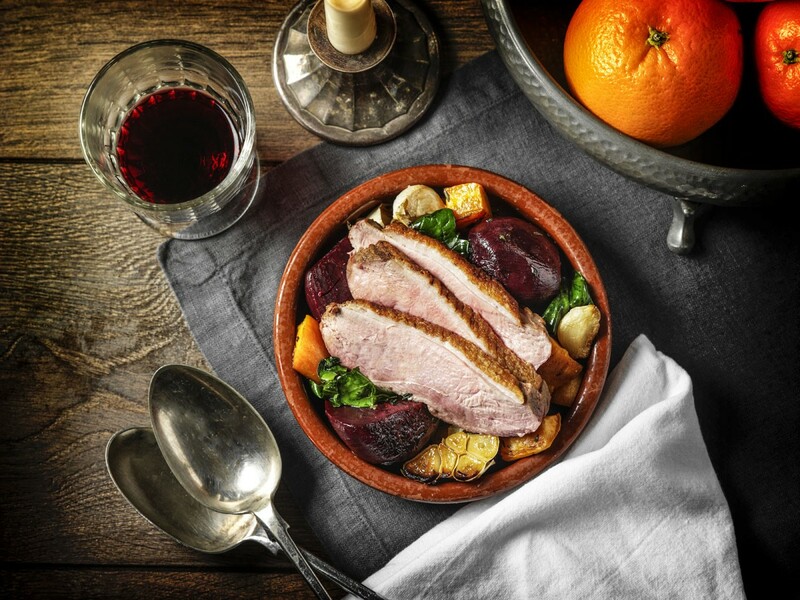 Autumn has crept up on us, and now Gressingham Duck have gifted us with a selection of sumptuous duck recipes to get us through the suddenly chilly evenings. 1. Pre-heat oven to 200°C, Fan 180°C, Gas Mark 6. Remove all packaging from the duck and remove the bag of giblets (if included) from the cavity. Weigh the duck. 2. Prick the skin around the duck legs and season with salt and pepper. 3. Place the duck on a rack in a baking tray big enough to allow you to also fit the potatoes, and add the duck fat (or vegetable oil if you do not have duck fat). Place the duck in the oven. Roast in the oven for 20 minutes per 500g, plus 20 minutes extra. 4. Meanwhile prepare the glaze by mixing all the ingredients together and gently warm in a small pan. Then leave aside in a warm place. 5. Prepare the cabbage: peel off the leaves, discard any that may be spoilt and remove the core. Bring a pan of salted water to the boil. Blanche the cabbage by plunging the leaves into the boiling water and then into a pot of cold water. Drain well, slice thinly and set aside. 6. After the duck has been cooking for 45 minutes, place the potatoes into the roasting tray around the duck, then add the rosemary, garlic and cumin seeds. Baste with the duck fat and season. Turn the potatoes once during cooking. 7. Ten minutes before the end of cooking take the glaze and paint all over the duck with a pastry brush. 8. When the duck is ready, remove from the oven and carefully take out of the tray and place in a warm resting place for approximately 30 minutes. 9. Then take the potatoes from the tray and put into another roasting tray, baste with the duck fat and return to the oven to finish cooking. 10. Pour off all the fat from the liquid left in the tray, and save for another cooking opportunity. 11. You should be left with just the juices to create the sauce. Pour into a saucepan and place onto the hob, bring to the boil, add a generous dollop of butter and simmer. 12. When you are ready to serve, quickly fry off the cabbage in some butter for 2-3 minutes. 13. Test the sauce for seasoning and adjust accordingly. Remove the potatoes from the oven. Your meal is now ready to serve. 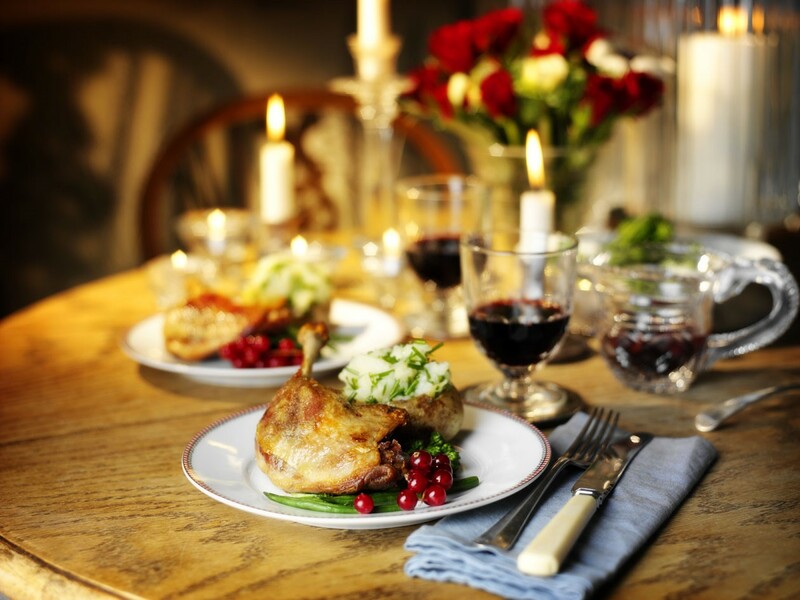 If it feels too soon to start planning Christmas, then why not give this simple-yet-sophisticated dish a go for just you and your loved one – the perfect romantic dinner. 1. Pre heat oven to 160°c. 2. Dry the duck leg with absorbent paper. Season well and sear the duck legs on both sides in a hot frying pan with no oil, until browned. Leave the legs skin side down and add a dash of oil to the pan along with a sprig of thyme and a clove of garlic. 3. Cover the pan with tin foil and place in the oven (if your pan is not all metal then transfer to a baking tray and do the same). Place the potatoes in the oven at the same time. Check both the duck and potatoes after 45 minutes for tenderness and adjust cooking time accordingly. 4. While the duck is cooking prepare the jus and vegetables. Place the red wine, redcurrant jelly and balsamic vinegar into a small saucepan and reduce until it starts to get sticky and dark. Add in the chicken stock and reduce by 2/3. Whisk in a knob of butter and then take off heat. Blanche the vegetables in salted boiling water, drain them and set aside. 6. When you are ready to serve place the potato back into the oven for 5 minutes and quickly reheat the jus and the vegetables. Divide everything onto 2 plates and garnish with the fresh redcurrants. It’s time to be seductive! 5. Next, remove the breasts from the pan and place them skin side up on a rack in a roasting tin in the middle of the oven for 10-18 minutes depending on how you like your duck cooked. Once the breasts are cooked, leave them to rest for 10 minutes before serving. 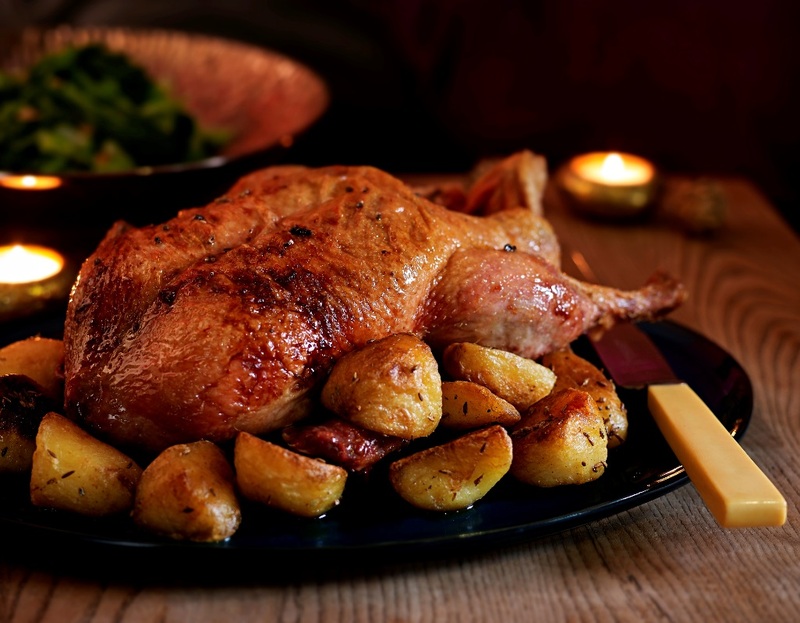 Gressingham has lots of recipes along with “how-to” videos on their website www.gressinghamduck.co.uk – so get cooking!